Discussions Magazine Music Blog: NBCUniversal Announces DreamWorks Animation Acquisition! NBCUniversal Announces DreamWorks Animation Acquisition! NBCUniversal has just upped their game by acquiring DreamWorks Animation. This major acquisition builds on NBCUniversal’s presence in family and animation space. DreamWorks Animation is set to become a unit of Universal Filmed Entertainment Group. Is NBCUniversal/DreamWorks now primed and ready to go head-to-head with Disney in the family film/animation market? Grab a bucket of popcorn, folks, because this is about to get real! NBCUniversal, a division of Comcast Corporation (NASDAQ: CMCSA), today announced the acquisition of DreamWorks Animation (NASDAQ: DWA). One of the world's most admired family brands, DreamWorks Animation creates animated feature films, television series and specials, live entertainment and related consumer products. The studio will become part of the Universal Filmed Entertainment Group, which includes Universal Pictures, Fandango, and NBCUniversal Brand Development. "DreamWorks Animation is a great addition to NBCUniversal," said Steve Burke, CEO of NBCUniversal. "Jeffrey Katzenberg and the DreamWorks organization have created a dynamic film brand and a deep library of intellectual property. DreamWorks will help us grow our film, television, theme parks and consumer products businesses for years to come. We have enjoyed extraordinary success over the last six years in animation with the emergence of Illumination Entertainment and its brilliant team at Illumination Mac Guff studio. The prospects for our future together are tremendous. We are fortunate to have Illumination founder Chris Meledandri to help guide the growth of the DreamWorks Animation business in the future." The transaction is expected to close by the end of 2016, subject to antitrust approvals in the U.S. and abroad, as well as the satisfaction of other customary closing conditions. 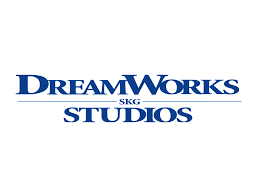 Following the completion of the transaction, DreamWorks Animation CEO and co-founder Jeffrey Katzenberg will become Chairman of DreamWorks New Media, which will be comprised of the company’s ownership interests in Awesomeness TV and NOVA. Katzenberg will also serve as a consultant to NBCUniversal. The acquisition gives NBCUniversal broader reach to a host of new audiences in the highly competitive kids and family entertainment space, in both TV and film. It includes popular DreamWorks Animation film franchise properties, such as Shrek, Madagascar, Kung Fu Panda and How to Train Your Dragon. It also includes a thriving TV operation that is a significant supplier of family programming, with hundreds of hours of original, animated content distributed across linear and SVOD platforms in more than 130 countries. Additionally, DreamWorks Classics, a large library of classic characters, including Where’s Waldo, and Rudolph the Red-Nosed Reindeer, will become part of the NBCUniversal portfolio, along with a successful consumer products business.